T.G.I.F… Thank God Its FRY Day! Heat a pan on medium flame and add 1 tablespoon oil. Now add cumin seeds, when they start to sizzle add chopped onion and sauté for about a minute. Sprinkle turmeric, salt, pepper and lower the flame. Now add chopped carrots, peas and cauliflower. Sprinkle some water for cooking and cover with a lid. Let it cook for about 10-12 minutes. Stir occasionally. Make sure the vegetables are well cooked and not too moist (If so cook on open flame for a while). Uncover the lid and add fresh coriander. Quickly toss all the vegetables and remove from pan to cool. Wet the slices of bread with water and squeeze. In a bowl finely mash the boiled potatoes and moist bread. Add salt to taste and kneed into smooth dough. Make medium size balls. Flatten them a bit in your palm. Place some amount of cooked vegetables in the centre. Fold your palm a bit begin to join the corners and gently press to form a cutlet. Now heat a flat pan on medium flame and add 2 tablespoons of oil. 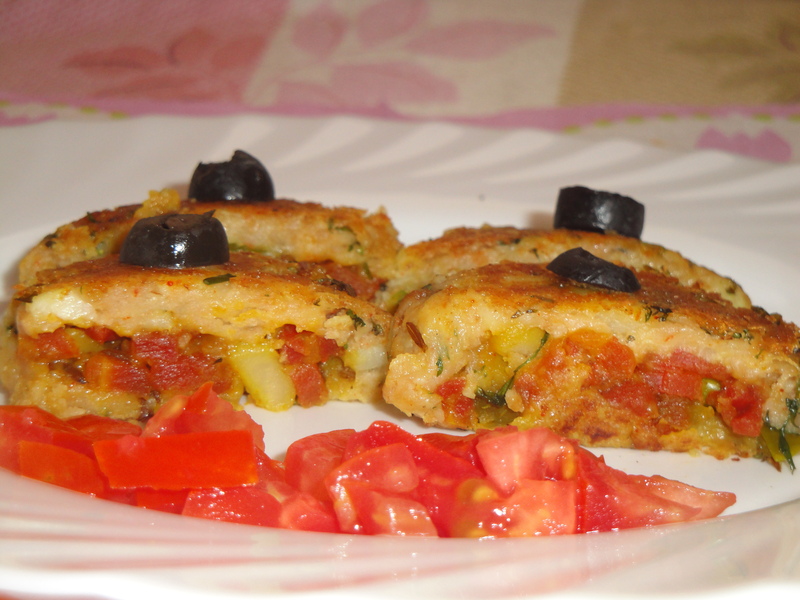 Place the cutlets , pan fry and cook till golden brown on each side. Remove the cutlets from the pan and first place them on a kitchen towel so that extra oil is absorbed. 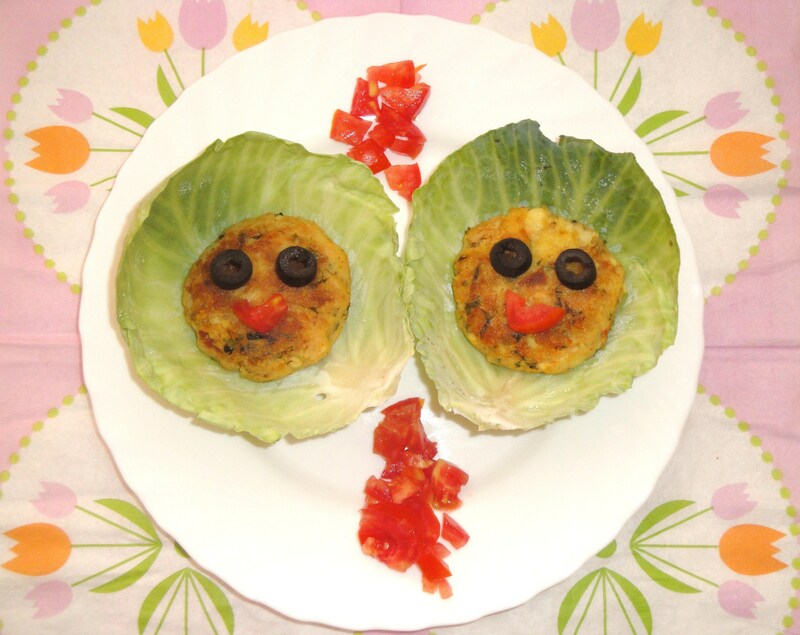 On a serving plate put the cabbage leaves and place the cutlets on them. 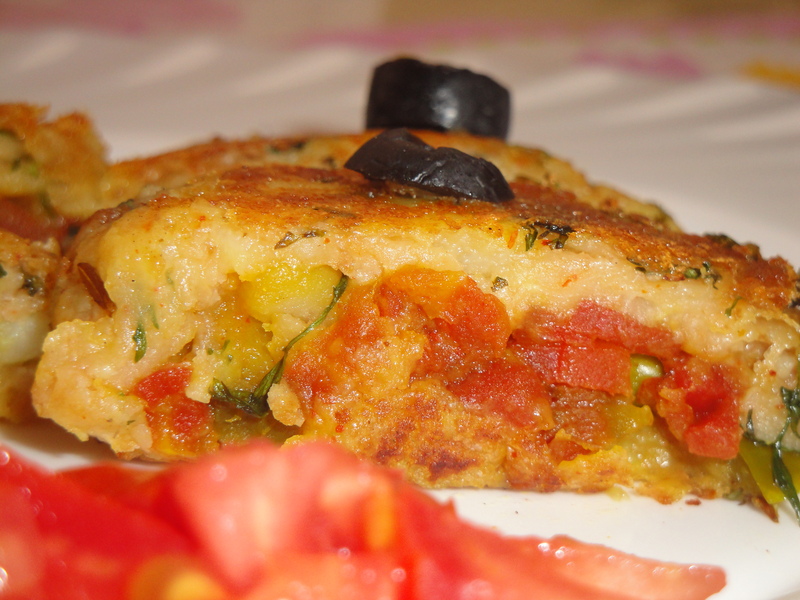 Garnish with black olives and tomatoes as shown in the picture. 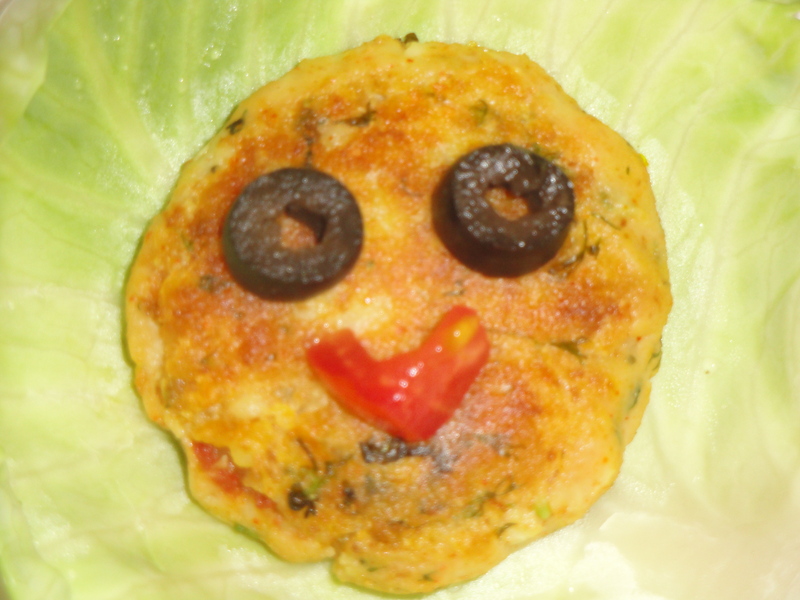 Kiddie Tip: Make the kids to cut the cutlets (with kid safe knives). Discovering the hidden veggie treasure would be of great fun! Nice one…I’ll love to try this…..
Great! would be nice to get a feedback from the kiddos….looking forward!